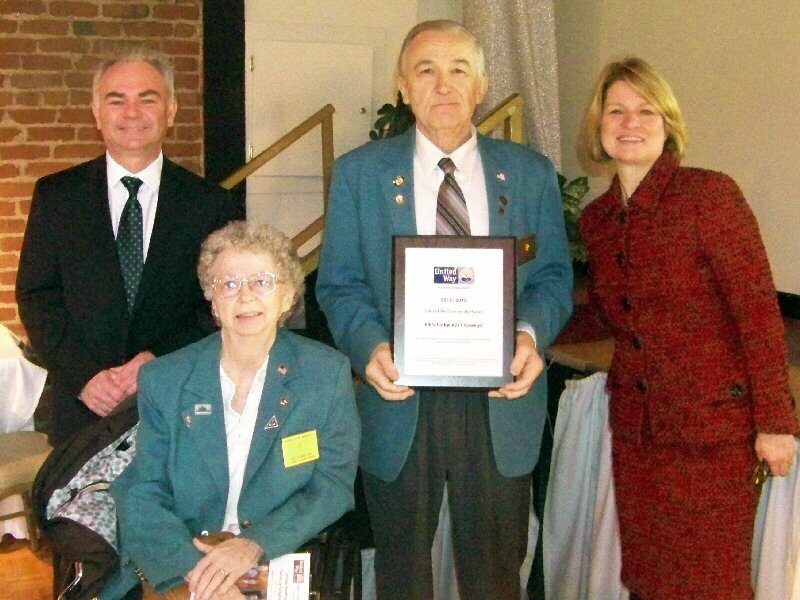 OSWEGO, NY – The United Way of Greater Oswego County recently presented the Spirit of Community Award to the Oswego Elks Lodge #271. The award is presented annually to volunteers who care and want to make a difference in their community. The members of Oswego Elks Lodge #271 were recognized for unwavering commitment to their community and their generous support of the United Way’s Community Fund. From left are: United Way Board Member and Campaign Cabinet Member, Brian Finn of Entergy; Oswego Elks representatives, Helen Milam and Exalted Ruler, John Pelmear; and Executive Director of United Way of Greater Oswego County, Melanie Trexler.